When I joined the online dating scene in 2011, I strategically crafted my profile with the right keywords, phrases, and photos that I thought would grant me the best chance of landing a date, and hopefully, a long-term relationship that would end in marriage. It was challenging to accept this new level of vulnerability and publicly announce that I’m single, looking, and by the way, would you please pick me? 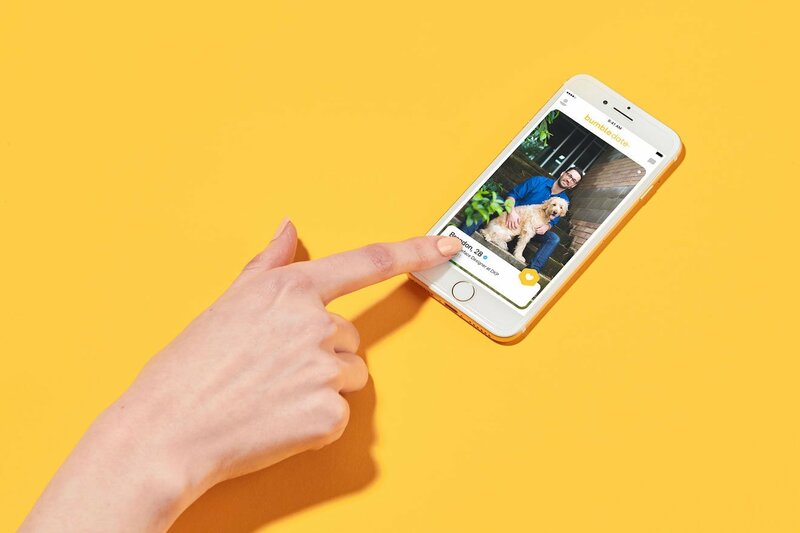 Dating apps like Bumble represent some of the highest-grossing social experiences in app stores worldwide. Bumble’s $1 billion valuation comes as it surpassed $100 million in revenue in 2017. It reached these heights by offering something different to the dating app experience: letting the other party initiate the conversation. It may be tempting to replicate your profile across a dozen dating apps to seemingly increase your chances of success, but think again. Managing connections across multiple platforms can leave your phone vibrating with notifications all day long, making you feel overwhelmed and exhausted before you’ve really dived in. Choose one or two sites that fit with your end goals, beliefs, or interests, and focus on those. You’ll be more apt to find compatible matches before you burn out. Connecting with hundreds of new people with an array of personalities and backgrounds is thrilling and a major benefit of online dating. It’s important that you enter into this virtual world with a set list of deal breakers to help you navigate through the maze of people. Seeing an attractive photo may sway you to let up your preference for dating a non-smoker or someone without kids. Write down which characteristics are a must for you, and then stick with them. Clicking through Instagram-worthy profile photos day after day can negatively impact our self-esteem and confidence. Social media, in general, has been linked to higher levels of loneliness, envy, anxiety, depression, narcissism, and reduced social skills. In one survey, 60% of people using social media reported that it impacted their self-esteem, which the behavioral scientist attributed to only seeing the “highlight reel” of people’s lives. Focus on building up your confidence when using dating apps by repeating positive affirmations, questioning your inner critic, and taking time for self-care. Building an online dating presence can be a priority while also keeping your real-life hobbies and activities. The likelihood of meeting a first date through a friend, for example, versus online may be less, but it’s your weekly painting session, favorite outdoor concert series, and love for travel that ultimately make you a more attractive match on online dating apps. Honor those passions and interests and hopefully, you’ll find someone to share them with. Take time to also foster relationships with friends and family who can serve as an invaluable support network (and a great sounding board) for your online dating app adventure. Like any new experience, be open to where the opportunity may take you, while putting your mental health first. Schedule time to disconnect from technology so you can emerge refreshed and ready to interact with new people with a stronger sense of self. And don’t lose sight of possibilities that still exist outside of technology. Anything is possible — even love online!